Hasnat Abdul Hye is quite a familiar name in Bengali fiction. His literary career spans more than four decades. In his prolonged career, he has created a distinct style of his own. In his novels, the present is often merged with the past, or for that matter, two separate stories being set in two different periods of time, reveal many close parallels. As a result, his narrative, most often, is constructed in a non-linear manner, which never assumes a static shape and keeps dynamically changing attaching newer methods to the older techniques. Added to this is his subject matter which often takes issue with religious dogmatism, chauvinism and immeasurable sufferings of the lower classes. In his latest ventures titled Jonathan and Neogothic, two novels bound in one book, readers will find Hye continuing his battle against social odds, and experimenting with a new technique. The first novel Jonathan begins with a house owner named Khalilur Rahman who wants to rent out one of his flats on the second floor of his house. Seeing an advertisement of the flat in a website a foreigner named Jonathan shows up. Expecting a lucrative amount since his would-be tenant is not only a British national but also a consultant of the World Bank (WB), Khalilur Rahman rents out the flat to Jonathan. The plot then shifts to Jonathan whose key job responsibility is to provide a guideline to a WB-funded project which, operating under the ministry of the Roads and Highways, aims at resolving Dhaka's mounting traffic problems. At first it seems that Jonathan is way too self-righteous in his opinions, who undermines a developing country and its corrupt bureaucracy and politics, and even the social norms so as to justify the colonial expedition of the West. But it soon turns out that he is a social reformer whose true persona lies in standing against whatever social odds he is faced with. Take, for example, his illuminating remarks on how bureaucratic complications coupled with political clout worsen the traffic problems. Then his attitude and actions towards the downtrodden people such as garment workers, maids and young domestic workers show us that if everyone from his or her own position comes forward and begins to work with long-standing social problems, then a substantial change can easily be brought about. 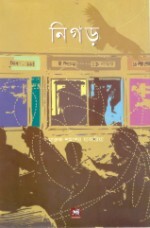 While the first novel encompasses a very simple narrative with no significant twists and turns, or parallels, the second novel Neogothic manipulates the romantic form of gothic fiction, a form which was perfected by the American writer Edgar Allan Poe, and a literary precedent of which can be found in Bengali literature in Tagore's Khudhito Pashan. Four friends, who work for a Dhaka-based NGO, go to a village to empower women as part of a project. As they are returning to their Upazila office, they get stuck in torrential rain. To add to their peril, their vehicle is attacked by wild elephants. So they run for their lives and take shelter in an old Zamindar castle. As goes with a macabre setting in an old castle full of mysterious disappearances and supernatural occurrences, the language also achieves vigour being imbued with suggestive metaphors and similes. Then in order to make the suspense reach its peak, the narrator, consciously referring to a Peruvian writer Mario Vargas Llosa, implies every now and then what will happen next. At one point, he also refers to the diverse roles played by the narrator in post-modern literature. But in the end all these fantasies prove to be a tale that one of the friends shared just to while away the time. Such an ending plays down the expectation of readers for a highly exciting conclusion on one hand, and reveals the futility of turning such a form into a symbolic story. Yet, the two novels, when considered as a whole, will interest readers since one deals with social realities while the other with wild imagination. Anyone who has read and liked these lines from famous Hamlet soliloquy might find Nigoro (Shackle) quite interesting, as Nigoro is very much a story on an oppressor's erroneous actions, proud men's arrogance, the law's delay and administration's disrespect for the people. 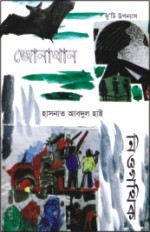 The author Maruf Shamsher Zakariah begins his story in 1988 when the anti-autocratic movement in Bangladesh was at its peak. He narrates how two third-year students of Architecture Department get insulted and harassed at the hands of the authoritarians. They are punished for a crime they never committed. One among them, Opu, has learnt how to prepare himself for fighting a long-drawn battle against the oppressor; he wants to strike at the root, not at a tiny branch. Opu somehow believes that someone worse would come when this evil is gone. But the other boy, Sajib, like the angry million, wants to pull the repressive dictator down. He thinks the people wouldn't be free if the tyrant isn't brought down right away. He decides to revolt; he decides to join the angry demonstrators on the streets in Dhaka and other cities. Sajib incurs bullet injury during a confrontation with the police and bleeds to death. Many sons like Sajib had to die during the period that Zakariah drew his readers' attention. The writer shows his mastery by putting forward the historical incidents while he depicts the outpouring passions of Sajib's friends at his death. The reader would get a clear picture of what actually had happened on the political front in Bangladesh at that time. Everything's there in the book: how the students fought against the autocrat, how they themselves got divided at one point of the uprising, and how they got over their differences again. No story is perhaps complete without a profound love affair in it. Opu falls in love with Monami, an English literature student at Dhaka University. While the readers watch the steady and healthy growth of that love affair, they would be intrigued [some of them would even be shocked] by the introduction of new set of characters in the story. Anis and Mou are seen slowly getting closer as lovers. As students working part-time, they meet at a World Bank project. The readers discover that Anis is Opu. Mou is Monami. However, a piece of new information about Opu makes his character quite enticing; readers find that his mother left his father when he was a child. His father went to the UK and got married to a British woman. He grew up in his grandfather's house. Opu never mentions that his mother is still living somewhere in Bangladesh. He tells everyone that his mother had expired long ago when he was a child. This is another story within a story that would compel the readers to do some serious thinking about life. The story moves further into history the way people were demanding democracy, freedom from the shackle they are chained with. One of the prominent messages of this novel is the use of force by the state. The persons in charge of the state think that the use of force is a necessity; you cannot control the unruly masses without the use of force; you cannot keep the people happy without using force on "a few" who are creating trouble for the majority. Nigoro shows how people forcefully take leadership in the name of saving the teeming millions, and how they turn out to be tyrants. The characters of the story get liberated from the clutches of the dictator and slowly find themselves trapped in a new form of autocracy in a democratic camouflage. The curtain on the plot falls during the recent state of emergency in Bangladesh. Opu, along with his surroundings, learns to cope with the new form of force. The book convinces you that the use of force is a reflection of the minds of the people in power. He feels like putting up a resistance against it. But does he revolt in the end?